First and foremost, procrastination is all about emotions. In fact, it is because we feel this or that emotion that not only do we put off till tomorrow what we can do today, but also that we can no longer decide ourselves. Similarly, it is because this or that emotion disappears and is replaced by another one that we finally stop procrastinating, reach a decision, and take action. At this point of our discussion, it is not my intention to introduce you to some technical definition of human emotions. Doing so would certainly be useless: you know very well what human emotions are. We can feel enjoyable emotions such as joy, enthusiasm, serenity, and cheerfulness. Likewise, we can feel more painful and unenjoyable emotions such as anxiety, anger, guilt, inferiority, discouragement, and sadness. Finally, because some emotions are neither enjoyable nor unenjoyable in themselves, they cannot be classified in neither one of these two categories. For this reason, we will call them neutral emotions. For example, this is so for one of the emotions that is most commonly present in us: desire. As a matter of fact, while it doesn’t feel neither enjoyable nor unenjoyable to desire something, it sure is gratifying to get what we want and frustrating to be deprived of the object of our desire. Let’s face it: our emotions govern our lives—in the sense that they are the ones that make us either act a certain way or refrain from acting another way. For example, if John sets to work to mow the lawn, we can absolutely be certain that he does so because of the presence of one or more emotions in him. On top of that, these same emotions can even be present in John without him being really conscious about their presence. So, John can mow the lawn because he wants it (desire, neutral emotion), but also because he fears (anxiety, unenjoyable emotion) the opinion that his neighbors could have of him if he neglected to take proper care of the lawn. It is also possible that John rolls up his sleeves and takes action simply because he fears the hassles and difficulties of mowing a lawn that is too long. Needless to say that various other emotions may also be present in John and thus lead him to take action and mow the lawn. On the other hand, if these emotions are absent and that, on the contrary, John is haunted by unenjoyable emotions such as anxiety, inferiority, or discouragement, he will never set to work and mow the lawn. As we can see, the presence of specific emotions in us encourages or even makes action possible, while the presence of various other emotions in us hinders or prevents the same action. Since our emotions play a significant role in this area, it will then be highly important for us to make sure we understand how our emotions come and go, what are the mechanisms that govern them, what are their causes, and how it is possible for us to learn to master our emotions so that they enrich our lives and allow us to achieve our goals—rather than harm us and block our motivation. The Master Code to Happiness and Emotional Wellness: Discover your emotions and everything you need to know to raise your level of happiness and improve the quality of your life with this comprehensive audio program by Chantal Beaupre. 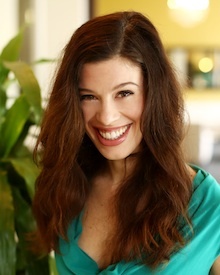 Chantal Beaupre is an Emotional Mastery Coach, a Naturopath, an Independent Licensed LifeSuccess Consultant, and a business partner of Bob Proctor – as seen in “The Secret” movie. Her passion is to assist, educate, and inspire consciously focused business owners and individuals to achieve extraordinary success and happiness, at home and in the work place. Recognized as the go-to self-development expert, Chantal has a treasure trove of practical, highly effective tools to help you live your life to the fullest. Website: www.chantalbeaupre.com. Reflections Of Self: What do the people around you say about who you are?